Once there is more than one person in a company, structured communication must be a priority. This communication needs focus and alignment to make sure that problems are spotted and solved quickly. Let’s take a look at four recurring meetings and their purposes: daily, weekly, monthly and quarterly. Are there any impediments in my way? Why hold a daily meeting like this? Think about transparency, engagement, and commitment. It’s not a status update meeting in which everyone lets the boss or manager know what tasks they’ve accomplished. Rather, the focus is on each other’s accomplishments and remaining work in order to achieve commitment and transparency in your team. Then there’s the weekly meeting. The purpose of this recurring meeting is to discuss tactical issues that come your way each week and review the goals you set for yourself and your team. How far along are you and what are the next steps? It’s important to prepare for this meeting and think about issues beforehand, but always keep in mind that it should be relevant for the whole team (if not, meetings could continue for days). Start with good news for five minutes. Numbers (KPI’s) are shared very briefly and reviewed for ten minutes. For 20 minutes the team synchronizes on customers, employees, and partners. You finish talking about subjects that need further discussion. This could be anything and can take from 10 to 30 minutes. Monthly meetings are typically one to three hours long and best held in the morning when people have the most energy. This meeting is used to solve strategic issues relating to the whole company. Stick to two or three issues in a meeting and make sure you schedule at least one hour per topic so that the team can dive into a topic without the distraction of deadlines and time management. At the end of the meeting, set new goals for the next month and make them measurable. The biggest challenge in implementing this recurring meeting is failing to schedule enough time for them or putting too many items on the agenda. When you’re scheduling a monthly meeting, make sure that more than enough time is scheduled for each topic. If it means clearing everyone’s calendars for an entire day, so be it. The final recurring meeting type we’re discussing is the quarterly. Plan this meeting for half a day, where the only focus is to define the new quarterly goals. This meeting is typically off-site, providing an opportunity to step away from the daily and weekly issues. During this meeting the business can be reviewed in a more holistic, long-term manner. Comprehensive Strategy Review. Industries and competitive threats change, so it’s important to review strategy about four times a year. Quarterly goal reviews and next quarter goals. How you divide these goals depends on your team and company. You may also divide them further into three parts so you have your monthly goals as well or leave that to the person responsible for it. One of the challenges you might face is the tendency to overburden and over-structure the meeting. The meeting shouldn’t feel like a presentation to executives but should be focused on reflection and discussing the state of the organization. Don’t forget to also celebrate the achieved quarterly goals from the past quarter. We make sure to celebrate successes each quarter at GAIKU. The whole team may not be directly working on quarterly goals, but we make sure that everyone gets to celebrate the achievements since we are working towards the same end goal. Which of these recurring meetings are held in your company? Do you have any thoughts about them? Need a helping hand with recurring meetings? GAIKU is here to save the day! Especially for your recurring meetings. Our meeting platform gives guidance before, during and after your recurring meetings. You can easily create agenda and action points and share them with your team. 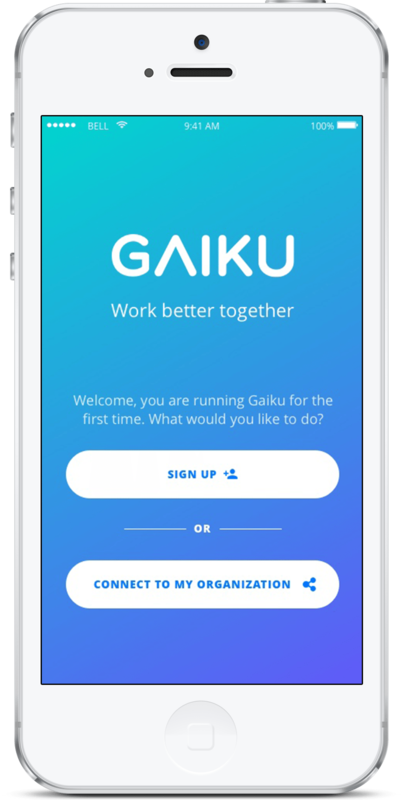 Give GAIKU a try and improve your meetings!